We make it easy for you to schedule, invoice and manage your locksmith business. Use a locksmith scheduling software that makes work in the field much easier, while increasing sales. Grow Your Locksmith Business with Workiz! Start saving time! Create new clients in just seconds. Add new locksmith jobs and assign any technician. When managing your locksmith business, Workiz does the heavy lifting. You can now track and manage your jobs from start to finish. From scheduling locksmith jobs, to managing invoices and taking payment, Workiz is there for you! Get an instant snapshot of how your locksmith business is performing with our mobile dashboard, and have access to your most important info anytime, anywhere. Simple to use with an interface you can completely customize. Create custom reports, add custom fields, or create new tags for locksmith jobs. Workiz allows you complete control of your workflow. Stay on top of your locksmirth business with real-time information. Track and manage job statuses, customer notes, payments, invoices, everything done in real-time. Easily setup custom alerts for different techs, dispatchers, managers, or clients. Create notifications sent to the manager every time a tech cancels a job. Workiz’s main calendar gives you 3 main dashboard views (daily breakdown, weekly, and monthly) to efficiently manage your workflow. Workiz is packed with features to save you time when it comes to scheduling jobs. In just seconds you’ll be able to see what technicians are scheduled for jobs. Easily filter jobs by status, and by metro area. With Workiz’s locksmith software, drag-and-drop to instantly make changes to your schedule. Customize the jobs with different colors for different locksmiths. Stay on top of everything with team management! Workiz gives you the option to notify your locksmiths by SMS or email about their scheduled jobs. You can even enable a login for your tech so they can stay updated with job notes and organize their upcoming tasks. Every tech can be assigned a login and restricted from viewing other technicians jobs or crucial business financial information. Tired of not knowing what techs are actually saying to your clients? Want to make sure your clients stay yours? You can listen in and verify your techs are making the client feel assured. 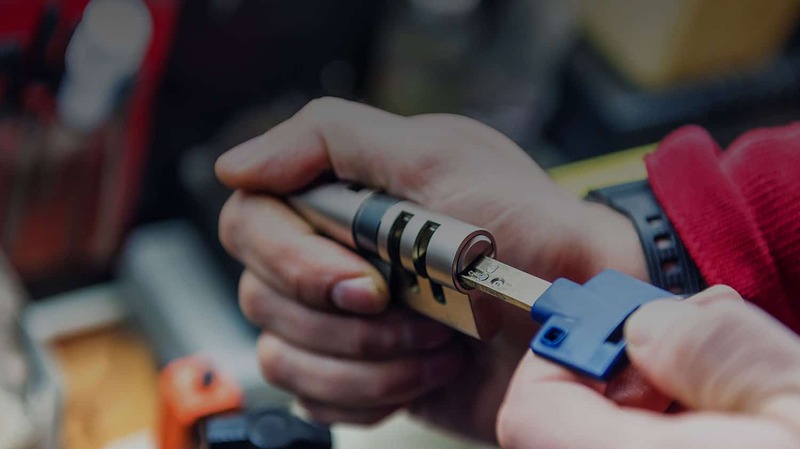 Workiz offers a solution to this common problem for locksmith businesses. Stop Wasting Paper! Workiz allows you to invoice your clients from the cloud. Design a unique invoice and any other form you need with your own branding and logo, collect signatures with your mobile device from anywhere and email as needed. It’s all documented for your records. A locksmith scheduling software is a web or mobile app that helps you run your service business more efficiently. You can you use such an app or software from anywhere that has an active internet connection to check your locksmith leads, schedule, view your client’s history and create invoices. Basically, everything that you used to write down on paper or keep in a spreadsheet can now be more efficiently managed in locksmith scheduling software. How Can a Locksmith Scheduling Software Improve My Bottom Line?